Diana Rogers, RD, LDN, NTP, is a “real food” nutritionist, international speaker, and writer who lives on a working organic farm in Carlisle, Massachusetts. She is also a consultant to some of the most influential people in the ancestral health world and the host of the Sustainable Dish Podcast. We met her in September when she presented at the annual conference of the Icelandic Health Symposium hosted by Dr. Tommy Wood, MD, PhD. 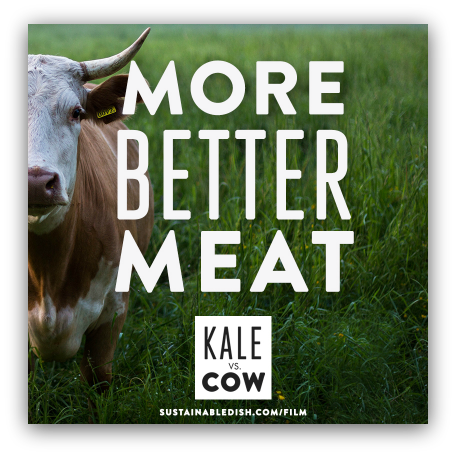 In this interview with Tommy, she discusses her current project, a film entitled Kale vs. Cow: The Case for Better Meat, in which she defends the nutritional and environmental benefits of eating meat from local and sustainable sources. In doing so, she challenges common assumptions about plant-based diets. As promised at the beginning of the audio, here’s the link to the AIMed and BASEM conferences. [00:00:22] Nom Nom Paleo, Dr. Kirk Parsley, MD. Podcast: How to Get Perfect Sleep with Dr. Kirk Parsley, MD. [00:01:42] Book: The Paleo Solution: The Original Human Diet by Robb Wolf. [00:01:51] The Weston A. Price Foundation. [00:03:11] Vegetarian undertones of the RD qualification. [00:04:48] Background for the film. [00:05:22] Chef's Table documentary series on Netflix. [00:09:33] Presentation: Icelandic Health Symposium: Kale vs. Cow with Diana Rodgers. [00:11:46] Problems with modern monocropping. [00:13:18] Energy requirements for local food. [00:15:00] Geothermal energy in Iceland. [00:16:18] Avocados and tropical oils. [00:18:01] Book: The Big Fat Surprise: Why Butter, Meat and Cheese Belong in a Healthy by Nina Teicholz. [00:21:02] Cow farts and burps. [00:21:40] TED Talk: Allan Savory: How to fight desertification and reverse climate change. [00:23:21] Intensive mob grazing then allowing the ground to rest. [00:25:29] Food security through diversification. [00:26:25] Are there too many people on the planet? [00:28:47] Book: Limits to Growth by Donella H. Meadows and Updated Book: Limits to Growth: The 30-Year Update by Donella H. Meadows and Jorgen Randers. Also see this editorial by Tommy’s Dad: Mineral Resources and the Limits to Growth by Bernard J. Wood. [00:32:20] Full accounting on lab meat. [00:36:06] Campaign on Generosity: sustainabledish.com/film. [00:37:44] Robb Wolf, Mark Sisson, Chris Kresser, JP Sears. [00:38:09] Sustainable Dish on Instagram.